In South Africa, monthly car payments are often the second highest debt you have to pay monthly, after rent or paying a bond. Not having a car is simply not an option for most of us. If you, like many people, are starting to consider investing in a vehicle, then it is important to consider whether it is the right time to buy a new or good quality used car. Having a car that needs to be repaired by a qualified vehicle mechanic, or needing to replace brake pads for instance, and not being able to afford to do so, causes a large amount of stress for every time you use the car. You should be able to drive from A to B without worrying that your car may break down or the breaks may not work. Every car will need some maintenance and upkeep throughout its lifetime but there comes a point where the repair costs simply don’t justify the cost of owning the car anymore. If you’ve gone from replacing minor things like brake pads and oil to having to pay large amounts of money to replace major, costly parts, becoming increasingly difficult to find then it may be worth buying a used car that is in much better mechanical condition. Maybe your zippy little city car was perfect for awhile able to get in and out of tight parking spaces, but now you’re a parent and your needs have changed. Then it is time to purchase a car that meets your and your family needs, avoiding daily hassles. 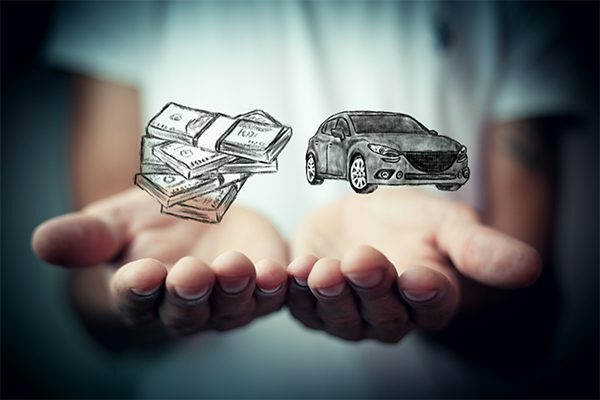 Consider easy vehicle finance from Earn-a-Car. Contact us for more information about rent to buy cars in South Africa.